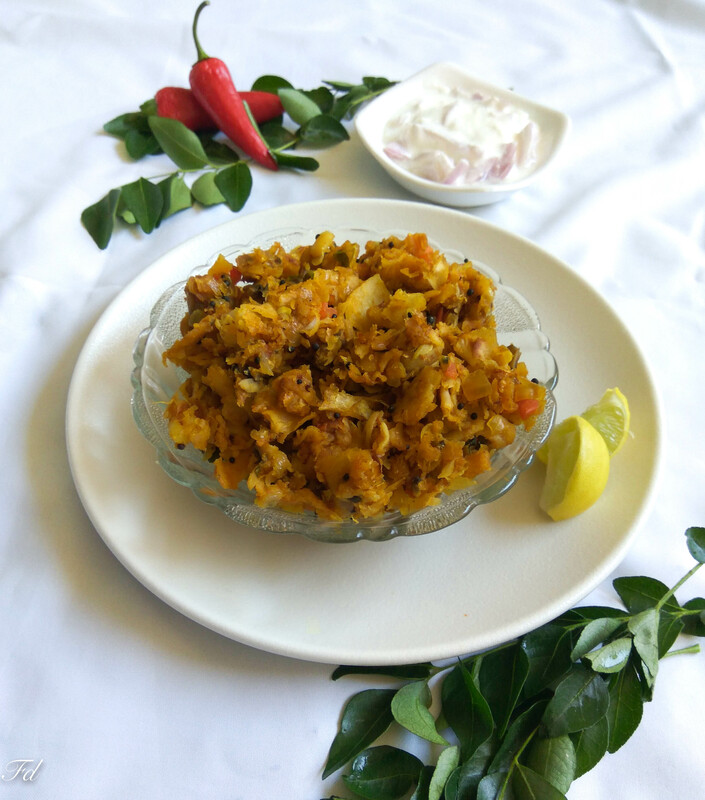 Kothu parotta is a popular dish of Srilanka and South Indian state of Tamilnadu. 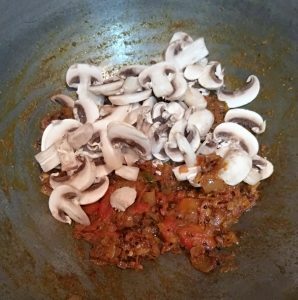 The traditional recipe uses meat or egg, this recipe is variation of traditional recipe using mushrooms and mixed vegetables. 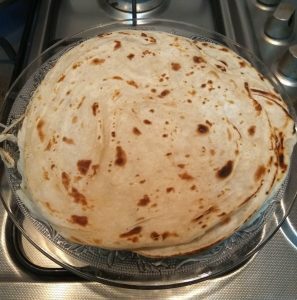 Cook Parotta on tawa until it turns golden.Cool down and tear it roughly into tiny bits and keep aside. 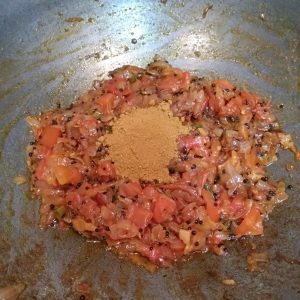 Heat a large kadai with oil add mustard, followed by onion, saute until onion turns transparent.Add chopped tomato with turmeric, chilly powder and salt. Cook until oil starts leaving the side of kadai. 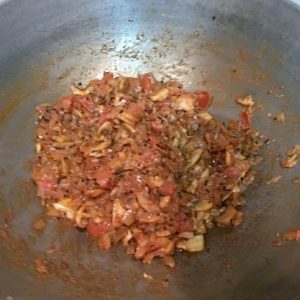 Add vegetable masala powder. Mix in well. Add in veg kurma. 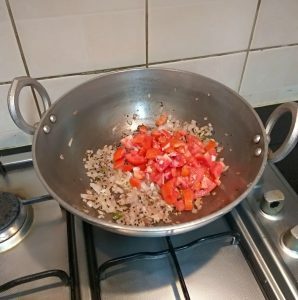 Mix and cook for 2- 3 minutes. 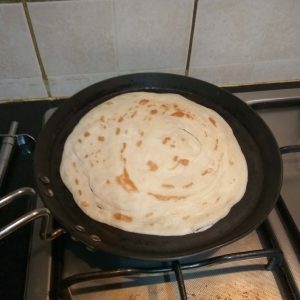 Now in goes the torn parotta. 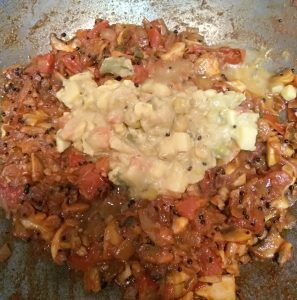 Mix well until the masala coats the parotta. 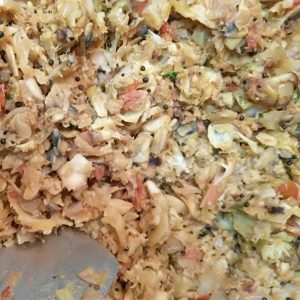 Finally with end of a spatula mix the Kothu partita well so that the ingredients get minced and mixed well. 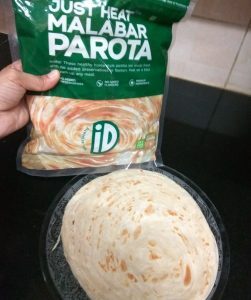 *I have used “ID Malabar Parotta” for this recipe. 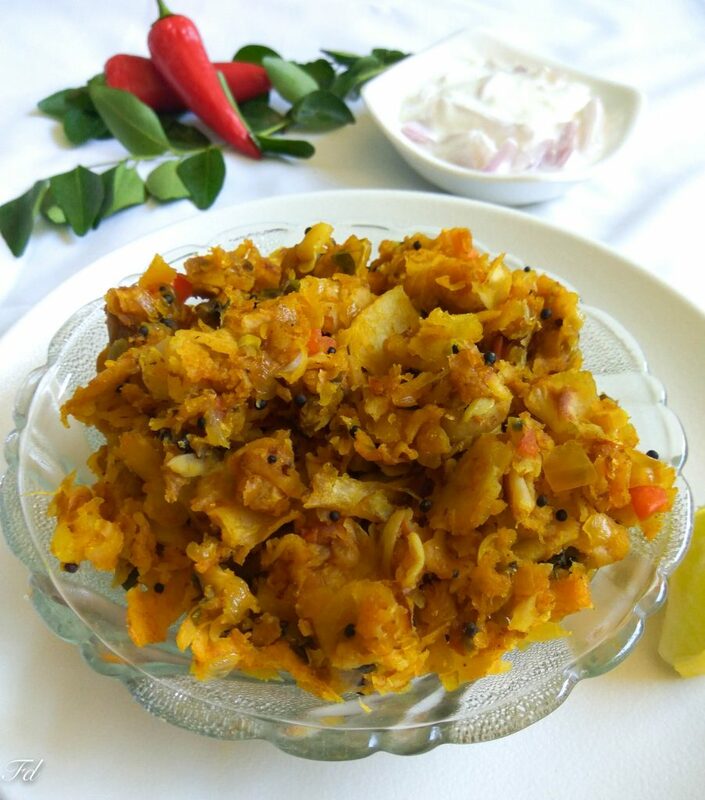 You can use left over ghee paratha or lachha paratha in the dish. 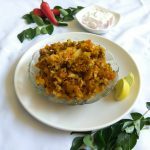 *Eastern Vegetable masala is used in the recipe. You can replace the masala with 1/2 garam masala and 1/2 pav bhaji masala. 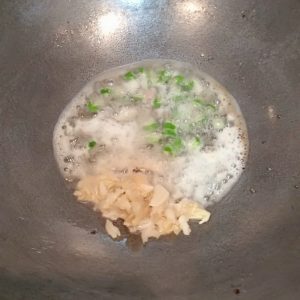 *Finally mincing and mixing gives the perfect taste and texture. 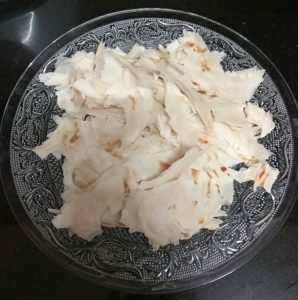 Cook Parotta on tawa until it turns golden. Cool down and tear it roughly into tiny bits and keep aside. Heat a large kadai with oil add mustard, followed by onion, saute until onion turns transparent. 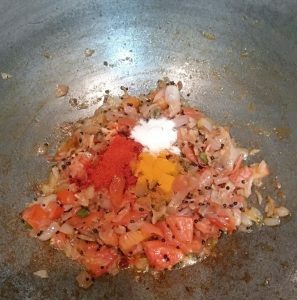 Add chopped tomato with turmeric, chilly powder and salt. Cook until oil starts leaving the side of kadai. 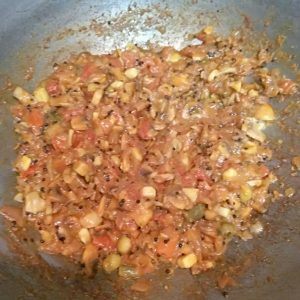 Add vegetable masala powder. Mix in well. Add in veg kurma. 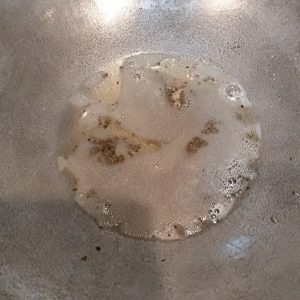 Mix and cook for 2- 3 minutes. 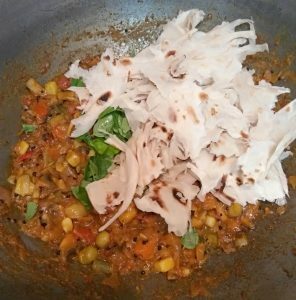 Now in goes the torn parotta. 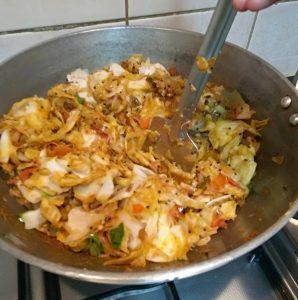 Mix well until the masala coats the parotta. 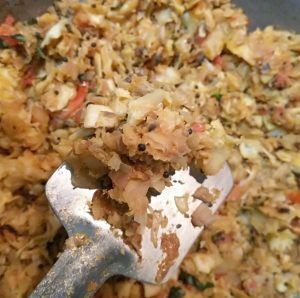 Finally with end of a spatula mix the Kothu partita well so that the ingredients get minced and mixed well.